Posted: Tuesday, July 12, 2011 12:00 am | Updated: 8:43 am, Mon Jul 18, 2011. Big news, everyone: We’re fantastic. Way better than Jackson Hole, even. The lists tell us so. Coeur d’Alene has been spotlighted by two notable media entities, hailing our hamlet as superior in pretty much all the ways that count. Forbes Magazine placed Coeur d’Alene as 18th on its list of 25 Top Small Metros in its July edition. And Yahoo! Travel put the Lake City as numero uno on its list of “8 Perfect Summer Lake Towns,” placed above the likes of Grand Lake, Colo. and Jackson Hole, Wyo. These just add to the accolades the Lake City has received in recent years, said Todd Christensen, CEO and president of the Coeur d’Alene Chamber of Commerce. This recent recognition will likely draw more eyes to the chamber website, Christensen added, enticing more tourists to pencil this is in as a destination to lug their boats and drop some cash. The city seems to be doing pretty well there. On Monday, the sun baked the planks of the Third Street dock as tourists milled by, some heaving coolers to the beach, others stirring the lake water on paddle boats and jet skis. 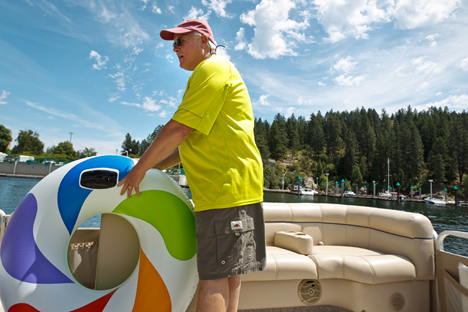 Folks attending the National Funeral Directors Association convention at The Coeur d’Alene Resort were taking a livelier turn for the day, as they gassed up rental boats for a four-hour cruise. His pal, Scott Meyersieck, from Pigeon, Mich., said the friends and their spouses wouldn’t be opposed to returning. Mandee Hiebert, a Coeur d’Alene denizen who bikes and runs local trails to train for Ironman, worried the Forbes and Yahoo recognition might lure too many eager visitors. “We love Coeur d’Alene. 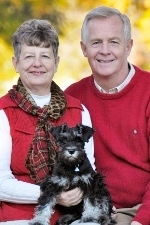 We want to keep it a secret,” Hiebert said. They get it, though. There are all the conveniences of a city here, they observed, with the affable residents of a small town, abutting a playground of trails and a glorious lake. Forbes and Yahoo made similar judgments. The city stands out because of its bucolic layout, according to Yahoo, enhanced by brewpubs and galleries. The Forbes article lauds outdoor recreation opportunities. The magazine also states that business costs are 26 percent below the national average in Coeur d’Alene, and that unemployment is expected to fall to 8.7 percent by 2013. Maybe, said regional economist Alivia Body. Ginny Tate, president of Elk Point Consulting, couldn’t confirm the 26 percent figure, since the Forbes article wasn’t specific about how the number was calculated. “It could be anything,” Tate said. But Idaho does have tax incentives for new businesses, she said, and Coeur d’Alene offers plenty of workforce training opportunities. “So the ability to move a business to Idaho, find space and quality employees, friendly tax rules, along with quality of life, does make this an excellent place to live,” Tate said. Matt Buckley and Cathie Hatfield, who live near Lake Tahoe, said likewise when they stopped their bikes on the Centennial Trail. They spend summers in Coeur d’Alene to get the same outdoor experience as back home, they said, without the commercialism. It’s clear, fresh. And still, for the most part, untouched. “It’s like Lake Tahoe 30 years ago,” Buckley said. “Fifty years ago,” Hatfield added. ~ by The Oetken Group on July 18, 2011.